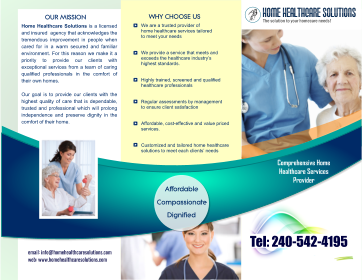 Home Healthcare Solutions offers prospective clients and their families our complimentary in-home care needs assessment. Over the course of this free consultation, one of our expert Care Coordinators meets with you and your family, gauging the level of assistance required to support the care recipient and help him or her maintain as much independence as possible. After evaluating your family’s home care goals and getting a feel for the care recipient’s physical and cognitive needs, we work with you to create a Personalized Care Proposal. This proposal recommends the type of care and optimal number of hours required. Based on this information, we then recommend several specific caregiver profiles for you to choose from.